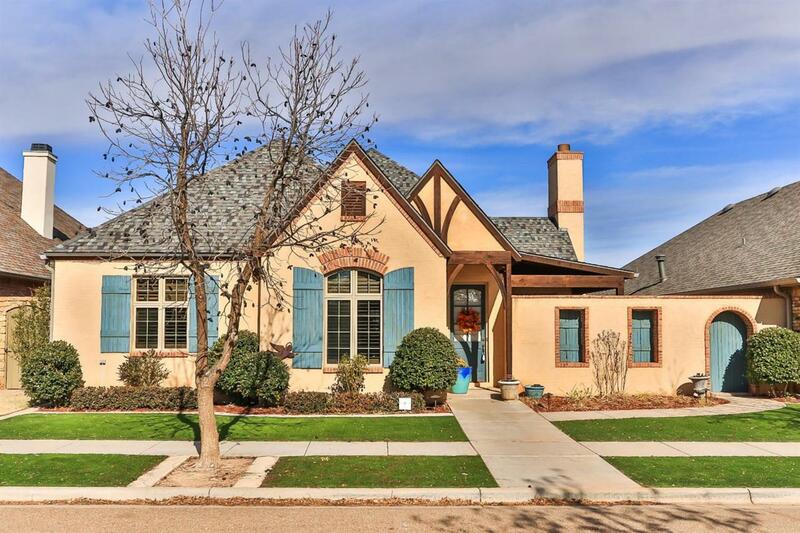 Lovely Country French design with Stucco exterior, custom shutters, beautiful landscaping and turf grass in front and back for low maintenance. This 3/2.5/3 elegant garden home built by Jeff Seal in prestigious Orchard Park neighborhood in South Lubbock. Upstairs Loft office or 2nd living area, Open concept living room, dining and kitchen. Beautiful Travertine floors, stainless appliance package in kitchen, gas cooktop, and huge walk in pantry, large patio great for entertaining! Listing provided courtesy of Leigh Anne Brozo of Westmark Companies. Listing information © 2019 Lubbock Association of REALTORS® MLS.